If you've been following this blog for any length of time (like more than a week) you've probably gathered that I'm heavily into photography. So when I buy pictures I only buy quality - and I pay for it too. But I also love pictures and sharing them with other people and I can't always afford that kind of quality! So when I need prints for friends and family and especially when I'm making photo books as gifts I always turn to Shutterfly. I've done a comparison. Shutterfly is hands down the best quality you can get for mass produced products. As you can see, I've made quite a few books for my own personal use too. These are my boys' baby books (Noah's aren't done yet!) with one book for each 3 months of their first year. In the 4 years since I've been doing this the software and options that Shutterfly has available for their books has grown exponentially. There are so many themes to choose from and now they've made every page completely customizable to where you can change the layouts any way you want, move anything around, and add any kind of embellishment from their 3,000+ image collection. I also use some professional scrapbooking software for other projects and I have to say, these were features that Shutterfly was missing for awhile, but they have really stepped up with their latest update this year. Shutterfly isn't just about printing your pictures. They would love to help inspire you to take better pictures as well. To that end they have an entire section devoted to tips and ideas for taking pictures. They call it storytelling, which I think is a very appropriate name since that's what we most want our pictures to do! This section is updated monthly and you can always read back articles by category. Shutterfly would like you to try out a book on them. 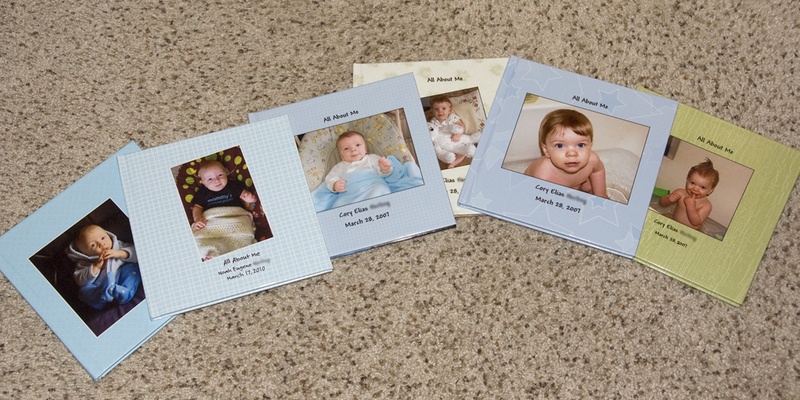 They will provide one winner with an 8x8 hard cover photo book as well as free shipping. Please go check out the various theme options and tell me which one you might use and for what occasion! Leave one comment (with a way to contact you) and a random winner will be drawn in one week. Shutterfly is providing me with a credit for a storybook as well, but as you can see, I'm already a big fan! Post also facilitated by the Family Review Network. Funny, I was just on shutterfly a few minutes ago trying to decide if the grandparents might like books of the kids for their xmas gifts. I guess they've now been vouched for by a trusted source! I'll put some books together tomorrow! I've never made a photo book before, but I just recently started one on Shutterfly (I've heard good things about the quality of their products). Thank you so much for your post. Shutterfly looks amazing! I would love to make a story book the top 10 looks perfect for making a photo book of my duaghters acoplishments at Army basic training.